Saddlers manager Jon Whitney has praised young striker Mitchel Candlin as the 17-year-old puts pen-to-paper on a three-year deal. 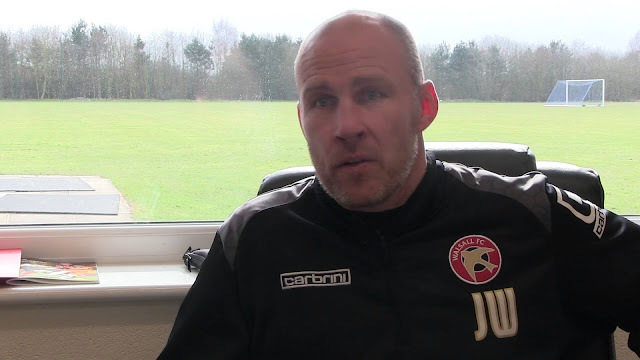 Walsall manager Jon Whitney has spoken to club journalists following the news that young striker Mitchel Candlin had put pen-to-paper on a three-year professional contract, which will see him remain with the club until the summer of 2020. Jon, who was speaking via Saddlers.co.uk, welcomed Mitchel's deal and praised the 17-year-old, who has made six first-team appearances - making his debut against Bradford City last April. The manager said said; "Mitch has shown great promise since he started to come into the first team. He started back with the Academy this summer and his efforts have been exemplary. "It was great to hand him his professional debut and he has had a great pre-season, getting his goal against Chester. He’s got great potential and he reflects our core values so we have rewarded him with his first professional deal."